Each time you send, reply or forward an email message to someone through Gmail, it automatically saves the email address of that person to your contacts list. This auto-add feature is normally a good thing if you correspond with a limited set of people but for everyone else, automatic contacts can quickly clutter your address book and it becomes ever more annoying if your contacts are set to automatically sync with your phone’s address book. 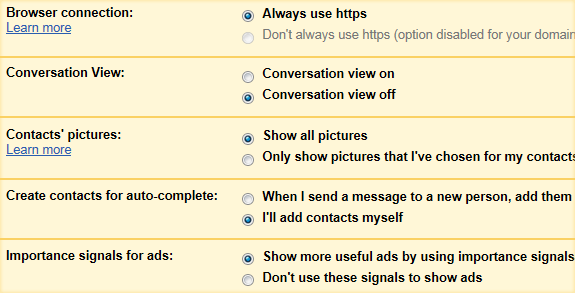 Fortunately, you can now completely disable the auto-add feature in Gmail. Just go to your settings page and choose “I’ll add contacts myself” for the setting that reads “Create contacts for auto-complete” – now you’ll have manually added email addresses to your Google Contact which am sure most won’t mind. The Gmail team has added a few other enhancements like you get better warnings if you make typo in email address. More on the Gmail blog. I just hope they are working on improving the Gmail site speed as well.